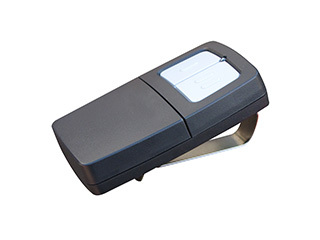 It is only natural for homeowners to worry that their garage door opener may get prompted into working by a transmitter other than their clicker. In such a case, the contents of your garage will be directly accessible and may get stolen easily. There is a safety risk as well if the door starts closing all of a sudden while there is someone in its path. There are certain things you can learn about opener frequency interference that will help to make sure that you get the adequate protection. Modern openers are designed to respond only to the encoded signal produced by the remote controls which have been programmed to work with them. Most electric operators use a dual or triple frequency system. It works automatically. The system tries a few different frequency channels to detect the signal coming from the transmitter. That way, the opener will respond even if there are other signals getting in the way, as the signal will jump into an empty frequency, and where the opener can easily detect it. What Are The Risks Then? The risks of frequency interference due to the use of devices such as microwave ovens, baby monitors and other electric operators within the radius of the transmitter have practically been eliminated from any modern model. However, interference may occur when strong coded signals are present. This usually happens in residential areas close to airfields and military bases. If you live in such an area, you may want to search for a more advanced protective technology when the time calls for a new opener to be installed, or if you find yourself experiencing any interference based problems. You should also keep in mind that in most cases the operator opens the door without being prompted to do so when the remote or the receiver gets damaged. In these cases, the faulty electronic component has to be identified and repaired or replaced in a timely fashion. Keep in mind that a new garage door clicker will require accurate programming, and will need to be calibrated with your system, something our technicians will be more than happy to do for you.